This time next week I'll be taking part in my 1st exhibition and craft fair. Of course this being me, the 1st one is a ridiculously big one! 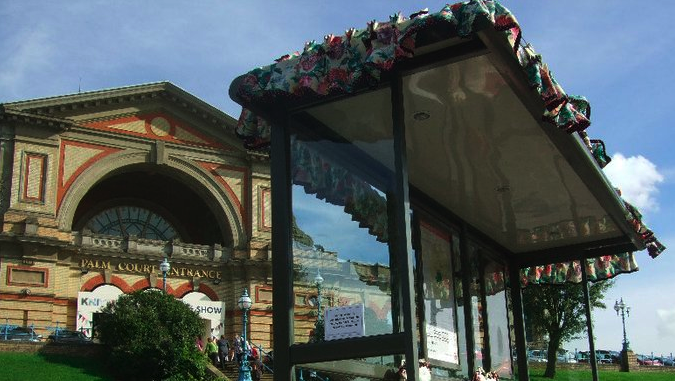 The London Knitting and Stitching show runs from 6th-9th October at Alexandra Palace. I was lucky enough to be awarded a stand by Craft Guerrilla. If you would like to buy tickets, follow this link. If you are attending, please do come and say hello! I'll be the one behind a sea of mobiles and badges! Right... back to making baby mobiles!